Gizmodo released an article entitled “US Homeland Security Wants Facial Recognition to Identify People in Moving Cars,” on 11/2/17 by Matt Novak. The Surveillance State has slowed down its rate of growth since the President took office, however, it has not halted that growth. Instead, it lies festering below the veneer of daily events, inexorably growing its tentacles and extending their reach. Akin to an infestation of weeds, the roots are deep within the fabric of our communications networks: telephones, CCTV (Closed-Circuit Television) cameras, the Internet…all are thoroughly permeated. The proposed program would allow Homeland Security to maintain a database of everyone who leaves and enters the US that would now include photos taken by spying robot-cameras at every border crossing. Not only does DHS want this new facial recognition program to work without anyone having to exit their vehicle, the agency wants it to work even if the travelers are wearing things like sunglasses and hats. DHS also wants it to work without cars having to stop. “11/02/17 12:31pm Hi everybody I live near the US-MX border so I’m happy to give informed opinions on this topic, since I know that a lot of the audience at Gizmodo dot com apparently lives closer to the US-CA border. 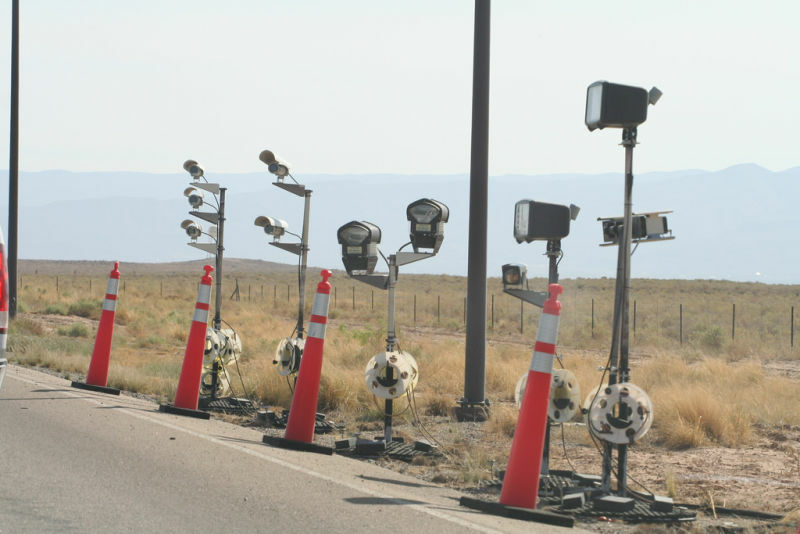 Near the US-MX border along major US highways there are these interior checkpoints. 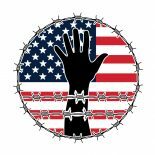 If you’re traveling “into” the US (e.g., if you’re in New Mexico and you’re driving north) you stop your car, a USBP agent asks if you’re all US citizens, you say yes, they let you keep going. (I have no personal anecdote about what happens if you don’t say yes. I have some secondhand anecdote about what happens if you are transporting a small amount of substances that the US considers illegal. But that’s tangential…) If you’re traveling “towards” Mexico, you don’t have to stop. Instead you drive past one of these. This is interesting. Illegal aliens (yes, the Mexicans and foreigners who cross the border illegally are aliens: foreigners entering the United States illegally) are crossing our borders every day. These measures are not to keep the illegal aliens out. These measures are to keep the subjects (taxpaying American citizen-slaves) in. Why else would they be requiring the use of a passport starting next year on domestic flights? This is the internal passport system of the former Soviet Union, materializing before our eyes. They will not need the “Mark of the Beast” implanted or bar-coded…they have the cellular telephones. The taxpayer slave-serfs carry these around…willingly, of their own free will…to transmit their every activity and location every four seconds…events that are all recorded for future use in whatever capacity the rulers see fit. China has been the “testing ground” ever since free trade with them was initiated along with NAFTA (George H.W. Bush created this: Clinton just signed it into law). There is another revelatory article about the increase in surveillance technology in China. Entitled “This is What a 21st Century Police State Really Looks Like,” by Megha Rajagopalan for Buzz Feed News, released 10/17/17. For millions of people in China’s remote far west, this dystopian future is already here. China, which has already deployed the world’s most sophisticated internet censorship system, is building a surveillance state in Xinjiang, a four-hour flight from Beijing, that uses both the newest technology and human policing to keep tabs on every aspect of citizens’ daily lives. The region is home to a Muslim ethnic minority called the Uighurs, who China has blamed for forming separatist groups and fueling terrorism. Since this spring, thousands of Uighurs and other ethnic minorities have disappeared into so-called political education centers, apparently for offenses from using Western social media apps to studying abroad in Muslim countries, according to relatives of those detained. The reason the article is important is that Miss Rajagopalan was in the area for two months, accumulating firsthand interviews, reports, and photos. Here’s the big news. The Chinese have devices that allow them to scan cell phones and laptops from a distance at any time. They have biometric facial scanners they employ when stopping individuals on the street. The photos are a must-see: it shows an almost cowed populace infringed upon in every area of life. That is the type of life coming to the United States, and soon. Companies from across the globe packed one of the world’s biggest surveillance trade shows to demonstrate the latest gizmos and algorithms powering the high-tech revolution in the industry, of which China is on the vanguard. Tools being hawked included facial-recognition cameras, iris scanners, software that can read a subject’s mood and cameras that can scan license plates in the dark. The surveillance-equipment market in China was valued at $6.4 billion last year, according to IHS Markit . China is a big buyer of surveillance technology as Beijing steps up its efforts to better monitor its 1.4 billion people. That is providing a boon for equipment makers, who are looking to export their gear abroad. But it has also sparked concern from rights activists about how the authoritarian government is using the souped-up “Big Brother” technology. As can be seen with these articles, the U.S. government has a new President and a new “pitch,” but many things are not changing, or if so…it is for the worse. The increasing surveillance is tightening of the noose around the necks of the American citizens. 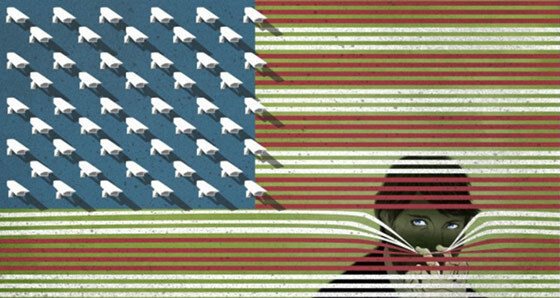 The surveillance state is growing more powerful and thanks to legislation, is becoming more invulnerable to challenges to its supremacy. Soon its inexorable march will be irreversible. Totalitarian control will be in place, and most of the citizens are either unaware of such, or they do not care that it is so. This entry was posted on November 15, 2017 by conspiracyanalyst in Big Brother, New World Order, Police State, Science & Technology, Surveillance, US News and tagged police state, surveillance.